Reprinted from The Cornell Chronicle, September 14, 2017. The highest honor in the field of developmental psychology, the award is given to an individual or research team who has made distinguished contributions to developmental psychology in research, student training and other scholarly endeavors. The award is based on the scientific merit of the individual’s work, the importance of this work for opening up new empirical or theoretical areas of developmental psychology, and the importance of the individual’s work in linking developmental psychology with issues confronting society or with other disciplines. Ceci has written approximately 450 articles, books, commentaries, reviews and chapters. He has served on the advisory board of the National Science Foundation for seven years and was a member of the National Academy of Sciences’ Board of Behavioral and Sensory Sciences. 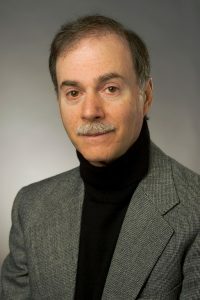 He is past president of the Society for General Psychology, serves on 11 editorial boards, including Scientific American Mind, and is senior adviser to several journals. Ceci’s honors include the American Academy of Forensic Psychology’s Lifetime Distinguished Contribution Award (2000), the American Psychological Association’s Division of Developmental Psychology’s Lifetime Award for Science and Society (2002), the Distinguished Scientific Contribution Award for the Application of Psychology (2003), the Association for Psychological Science’s James McKeen Cattell Award (2005), the Society for Research in Child Development’s lifetime distinguished contribution award (2013) and the American Psychological Association’s E.L. Thorndike Award for lifetime contribution to empirical and theoretical psychology (2015). Posted in Features and tagged American Psychological Association, APA, child development, Cornell University, developmental psychology, forensic testimony, G. Stanley Hall Award, human development, law and psychology on October 23, 2017 by Allison M. Hermann, Ph.D..